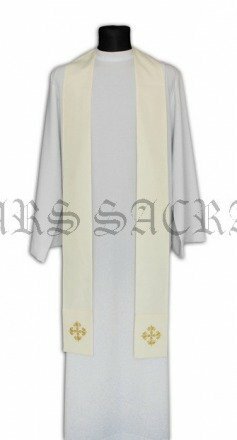 I find this to be one of the more "clean" stoles, if that is what one prefers. In this case, it was what I was looking for. The material and quality of the sewing, at least initially, seems satisfactory. The green color could have been less bright. But that, I guess, is a matter of preference. 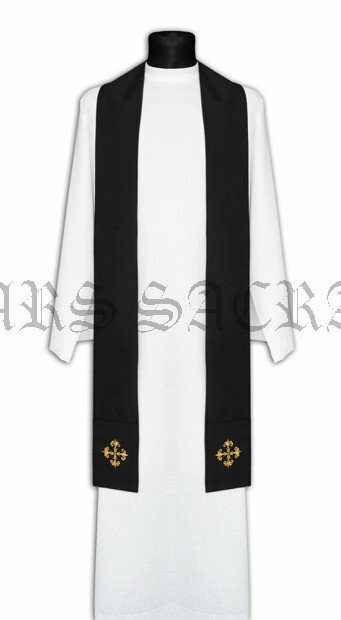 I find this to be one of the more "clean" stoles, if that is what one prefers. In this case, it was what I was looking for. The material and quality of the sewing, at least initially, seems satisfactory. The cream color was fairly neutral, which is also what I was looking for.